On Shrove Tuesday I sometimes find myself in a state of reserved joy. I know in just a few short hours it will be Ash Wednesday and Lent and although a penitential season, Lent should not be a somber one. At the Ash Wednesday Service we are offered a special invitation. The Church invites us to a holy Lent. We are invited to enter into repentance, prayer, fasting, self denial, self reflection, meditation on the Scriptures or a combination of these to help prepare us, as was the original intent of this season begun in the fourth century, to enter into Holy Week and the Paschal feast, Easter. It was the ancient Church’s hope that through a time of preparation our hearts and souls would be all the more filled with the overwhelming sense of life that comes through our celebrations and commemorations that begin on Palm Sunday. I received a letter from my Bishop many years ago around this time of year. He ended the letter saying, “I wish you a blessed Holy Week and a joyous Eastertide.” This was the first time I had ever been wished anything revolving around Holy Week, which I found comforting. Since then, I have often included a similar closing in different letters and writings I send out at this time of year. I will end this letter with a similar ending. However, instead of wishing everyone a blessed Holy Week as I have closed my Easter messages in the past, I will wish everyone a holy Holy Week. Just as we are invited to a holy Lent, I would like to invite everyone to a holy Holy Week. It is only in engaging with Holy Week that we find the full power, majesty and love offered in the Resurrection. When we intentionally enter this blessed time of year, our Easter celebration is all the more vibrant, for what we celebrate on this day is life, yet not just any life, Resurrection life. The Church has given us Lent to prepare for Holy Week and Easter and the services of Holy Week have been developed around the mighty acts Jesus enters into as we approach Easter. We are invited to be with Jesus as He enters the Holy City Jerusalem waving palms. We are able to walk the streets of Jerusalem with Him during His final days and hours, hours especially recalled in the Stations of the Cross. We are invited to the Last Supper to receive the Sacrament He gave us to remember Him until He comes again. We scatter into the night in fear as He is arrested and His Passion begins. We hold vigil in remembrance of that dark night as we pass from Maundy Thursday into Good Friday. We are able to join Him on the road from His condemnation to His crucifixion to His entombment and at this time we are called on to reject Him for it was humanity that nailed Him to the cross, it was for our sin He died. However in our rejection we find just how deep His love for us runs, for He goes willing to death, forgives us our rejection, and three days later Rises from the dead so that we would be free from sin and death. Life is very busy. Our time is filled with demands, schedules, deadlines. But in the midst of all of this busyness, I invite you to enter into a holy Holy Week, so that you can know God’s perfect freedom granted through God’s perfect love. The acts Christ entered into this week, the services the Church has given us to commemorate those acts, are celebrated throughout the week at St. James and I hope you can all make it to some if not all of these services. 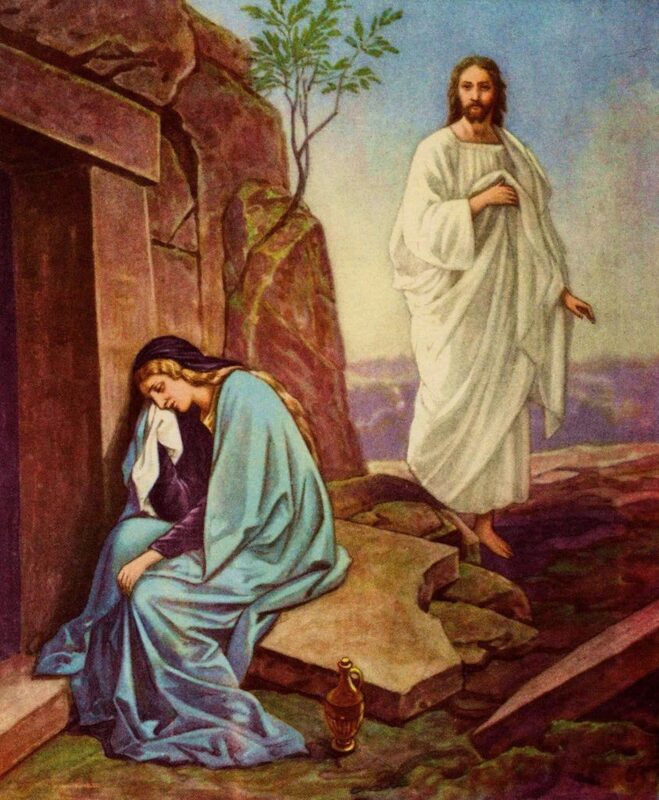 However, if your time prohibits you from making it to Church, enter this period on your own, taking time during these days to remember what Jesus went through this week so that when you stand at the empty tomb on Easter, you perceive it is empty for you, it is empty for all of us, for Jesus Rose so that we would be free; free from sin, free from death and we can experience that freedom today. I look forward to greeting you at our Holy Week and Easter services, I pray for safe travels for those traveling to and from Amesbury, and I wish you and your loved ones a holy Holy Week and a joyous Eastertide. Previous Article Previous Article: Presiding Bishop Michael B. Curry coming to Massachusetts!